Love reading? Then love comics! 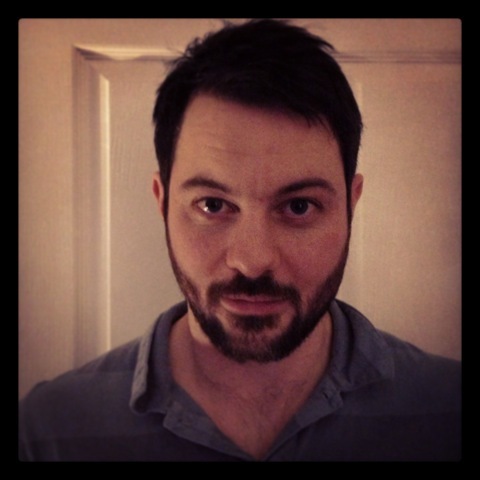 Today’s guest blogger Tom Fickling, writes screenplays (unsuccessfully) and also the comic strip SIMON SWIFT for The Phoenix comic (moderately successfully) while also serving as its Commercial Director (success to be decided). Everyone knows how important it is to instill a love of reading in children. Apparently the key is always to keep the experience an enjoyable one. Easy to say, especially when enjoyable means different things to different people. For me it meant comics. When I was about ten years old, my dad tried to interest me in Richard Adams’ Watership Down. But I didn’t want to read about rabbits in Watership Down. I wanted to read The Trigan Empire, an amazing comic about the rise and fall of a fictional race of eight-foot-tall humanoids from another planet. It was a detailed, Roman-inspired history from another world. With the rise and fall of dynasties, inter family feuds, treachery, jealously, love and everything in between. It was epic! But that wasn’t all it had going for it. 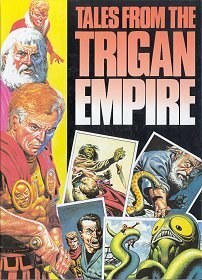 You see, while Watership Down had a few thinly scattered black and white drawings, The Trigan Empire was packed with incredibly detailed and colourful artwork that transported me from my boring room straight into outer space. In short, I loved reading it…and re-reading it, over and over again. To my father’s credit, he never stopped me reading The Trigan Empire, in fact, he encouraged it, and left plenty of other visually-rich comics lying around for me to devour. He didn’t nag me about Watership Down – (though he did about Lord of The Rings, thanks Dad), as I think he was just happy I was reading. By the time I did read Watership Down, I was more or less grown-up and of course I loved it. And I’m sure that my ten-year-old self would have loved it too. But when I finally read it, I came to it freely – because by that time I LOVED reading and wanted to read as much as I could. I was lucky. I’d been allowed to find reading myself and in my own way (via a damn good comic of course). And in fact the rise and fall of the Trigan’s probably also sparked my love of history, which is what I ended up studying at university. Take that Watership Down! I don’t think my experience was unusual. In fact, many acclaimed authors of children’s literature today cite the debt they owe to comics in fostering their imagination and love of reading. All forms of story telling have the capacity to evoke wonder and delight and stories told in comic form are no different. Sometimes they can be even more powerful. And that’s what we’re trying to champion with The Phoenix. Because we strongly believe that children need as wide a reading choice as possible. Books, newspapers, digital text, comics…the richer the mix the better. We want to add to it. After all, research shows time and again that the more children read, the more children read! This entry was posted in Book Talk, Books we love, Publishing. Bookmark the permalink. I agree totally – my love of word play was sparked by reading Asterisk as an eight year old!